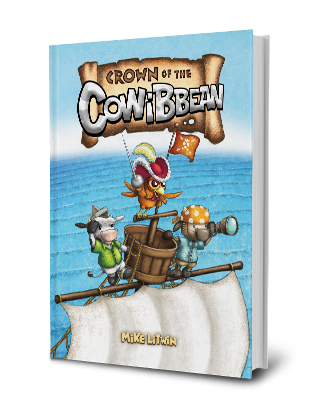 Crown of the Cowibbean (my first sequel to Lost in Bermooda) officially releases today! In this tale, Chuck and Dakota are swept into a voyage with famed explorer Marco Pollo, a pint-sized rooster full of mammoth-sized stories. Along with his one-eyed first mate Ribeye, they'll set sail aboard the Swashclucker in search of the legen-dairy Coral Crown. But they soon find themselves in a race against the Kingfish, the most feared catfish of the Cowibbean, who wants the crown for himself. It's an adventure of ruthless pirates and hidden treasure as our heores try to outsmart, outfight, and outsail the dreaded Kingfish and his band of shellfish to the mystical Crown of the Cowibbean. 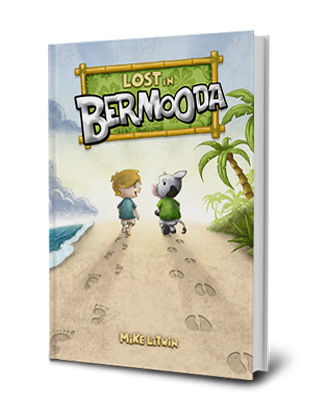 The official book trailer for my first authored children's book, Lost in Bermooda. I will be signing at Book Expo America 2014 this Friday at the Javits Center in New York City. If you happen to be attending the expo, stop by the Albert Whitman & Co. Booth from 2:30-3:30 and say hello! My first authored book, Lost in Bermooda, has finally hit the bookshelves! It's the story of the unlikely friendship between a lost boy with no family and his adventurous new friend...all played out on a secret tropical utopia that is populated with talking cows. This is the first in a series of books set on the island of Bermooda. I'm already looking forward to the release of its sequel book in Fall 2014.